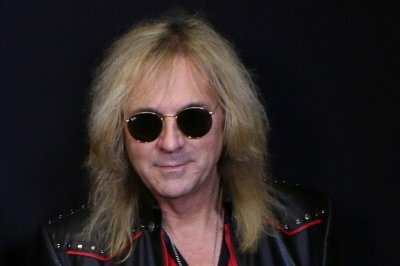 Glenn Tipton, the guitarist for Judas Priest, announced on Monday (March 12) that he was suffering from Parkinson's Disease and would not be participating in the band's Firepower Tour. Tipton was diagnosed with the disease ten years ago but it had only progressed to the point where it was affecting his playing. Andy Sneap is sitting in with the band on the road. I have been overwhelmed by the massive support and love I’ve had from other artists and from fans all over the world and from many friends and metal maniacs out there - it's not the end for me - I’ll still be able to write and record and on good days even join the band on stage for a few songs - with new medication and advances being made who knows what the future holds - but one thing's for sure - it will certainly involve Priest! Tipton joined Judas Priest in 1974 as the band's second guitarist, joining K.K. Downing who had been their lone guitar player from their forming in 1969. He has played on all of the band's albums.